THROUGHOUT HIS TIME at Memorial, Michael O’Keefe cultivated two parallel interests: public policy and music. While pursuing a bachelor of music, he was also active in student government. Taking an interdisciplinary approach to education, he says, opened his eyes. It’s a topic he plans to do more work on. 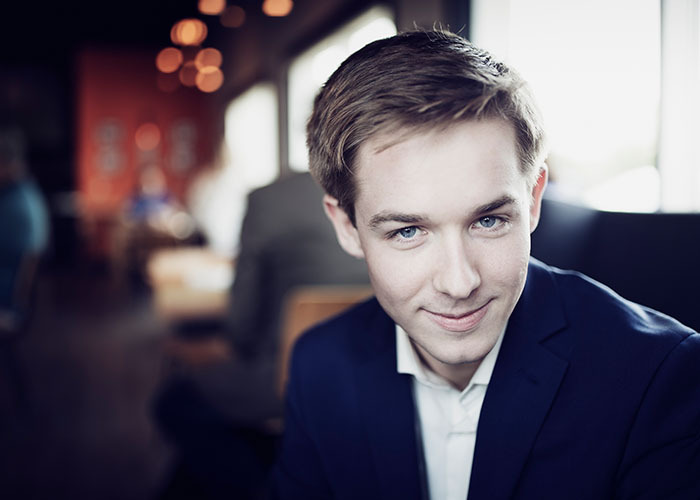 Selected as Newfoundland and Labrador’s 2018 Rhodes Scholar, Mr. O’Keefe started a master’s program in music at the University of Oxford this past fall. In addition to his performance studies, he expects his research papers will continue to connect music and international relations. After that, he may tackle a second master’s degree, in public policy.